A deep, solemn bell rings out across the coastal town of Barfleur. You can hear its very metallicness, if that can be a word, resonant with a sonorous medieval past. Later, as I sit in the warm afternoon sun, the sound of a didgeridoo wafts over the harbor, resonant with a relaxed global present. 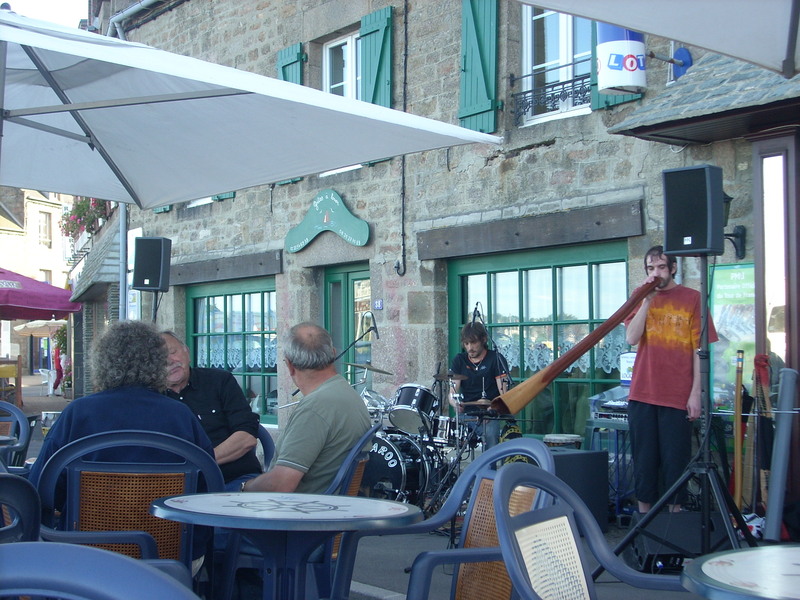 In its medieval past– military embarkations and landings, but now Barfleur is laid back. Arthur and his troops began their continental campaign here at Barfleur, so too does my journey seem to come into a kind of fullness now.